Here we are for a more traditional look... Red plaid, dark green and gold will be our colors today ! 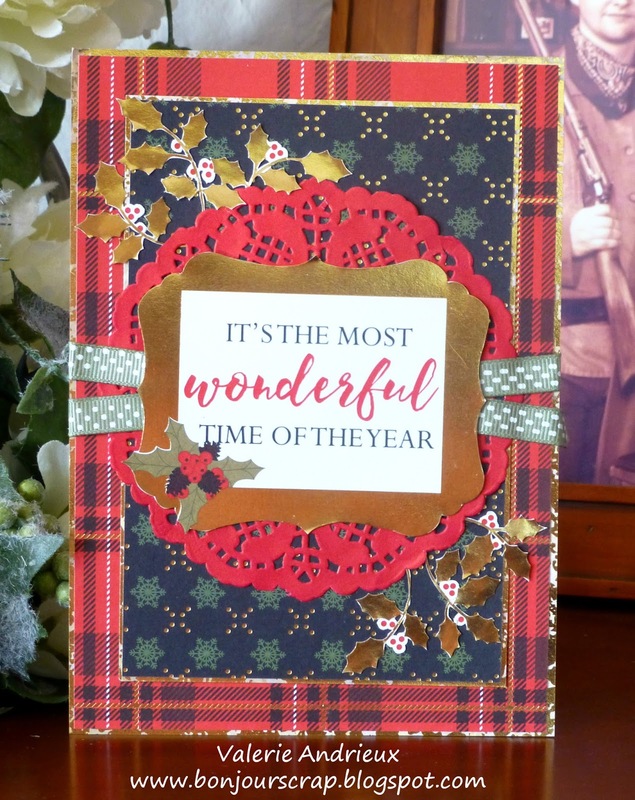 I took the papers from the Christmas Plaid stack and from the Mercury Glass stack (to mat the papers in gold) by DCWV, added some fussy cutting, a red doilie by Recollections and some green ribbon to achieve this classic (kinda Scottish for me don't you think ?) Christmas look ! For a change of style, see you tomorrow for another card !